Jumanji was a huge theatrical success during the 1990s, so if you were present at that time, the movie put a smile on just abound anyone who saw this fantastic film about board games and real life repercussions. The Net Entertainment studio has been quite busy during the past few weeks, as it not only released a couple of excellent slot machines to the public, was also planning to bring a few more – just to make things more interesting. And here you thought there would be no new games coming out in the next few months. Well, being wrong doesn’t have to be so bad – after all it’s going to be great, because now there would be even more outstanding slots to play, so what more a player needs than just a few spins to get that perfect score. 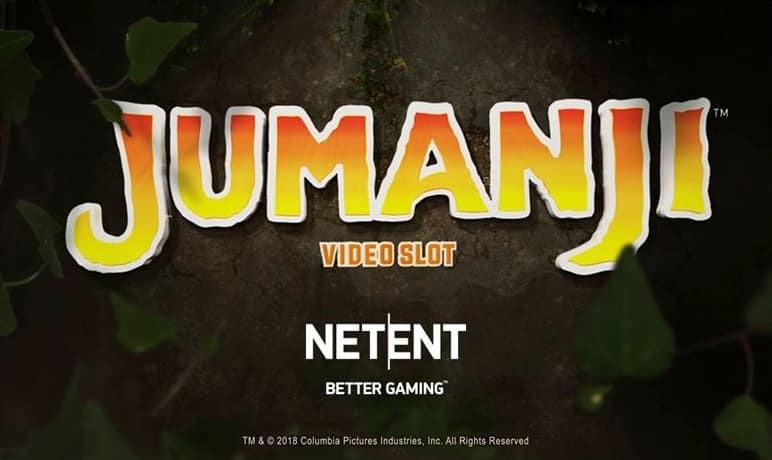 Based and influenced by the recent remake of the Jumanji film, the online slot will bring the same amount of excitement as the movie did, but now with greater emphasis on the playing part, as the players would be actively participating in the store, and grabbing a few chips while doing so. This could prove to be the next big casino game, and it’s going to appear on the 6th of February, which is really soon. The NetEnt company has secured a license from the Sony Pictures Entertainment, the holder of the Jumanji franchise, so that you could experience an authentic and official product, strictly tied to the world where the wild animals and jungles are more than real – they are actually the representation of an alternate reality. Be sure to pick up the video slot as soon as it hits online casinos at the beginning of the next month, and expect to see a lot of new software from Net Ent in the future, as there are still lots of great themes to cover.